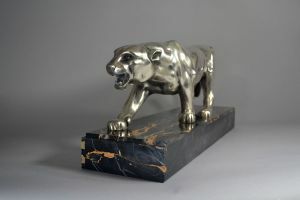 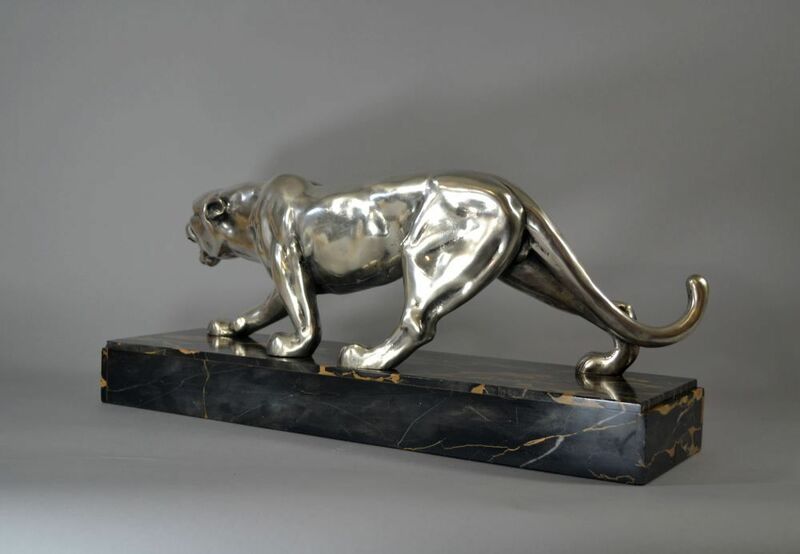 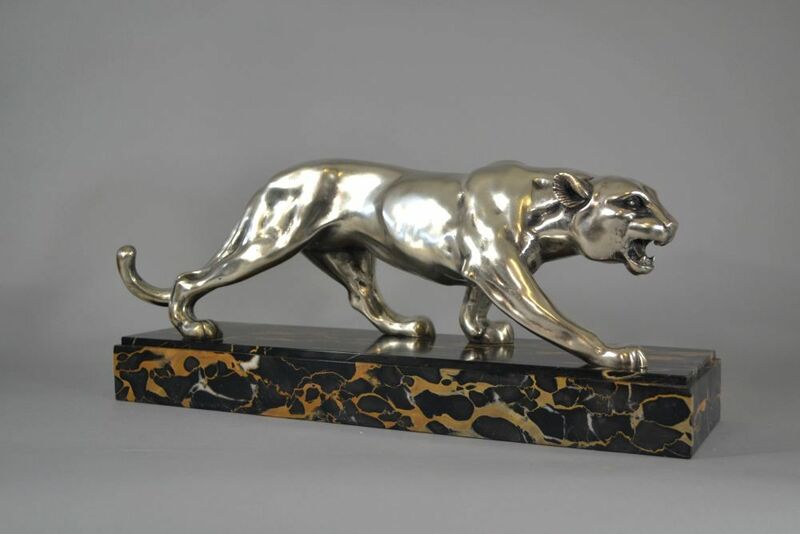 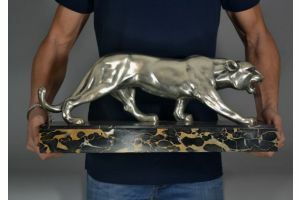 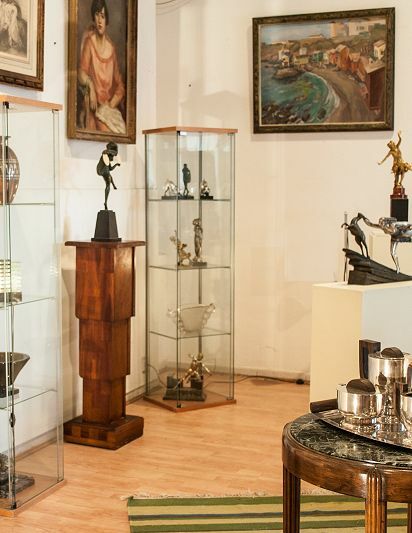 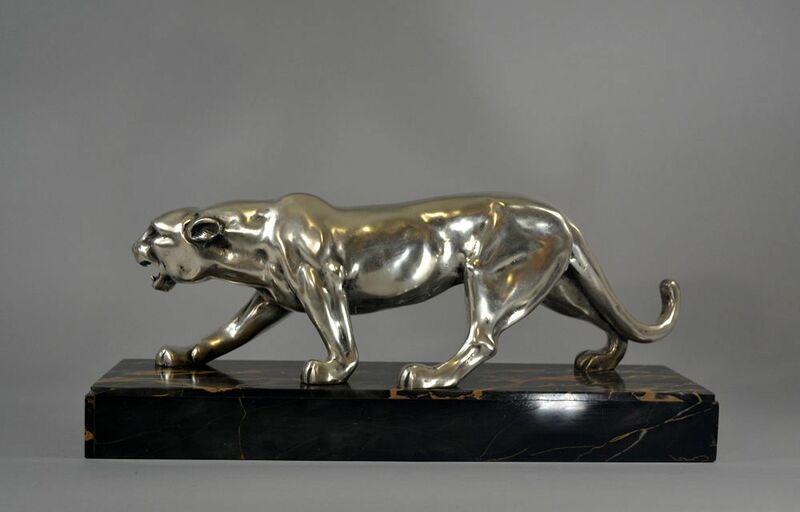 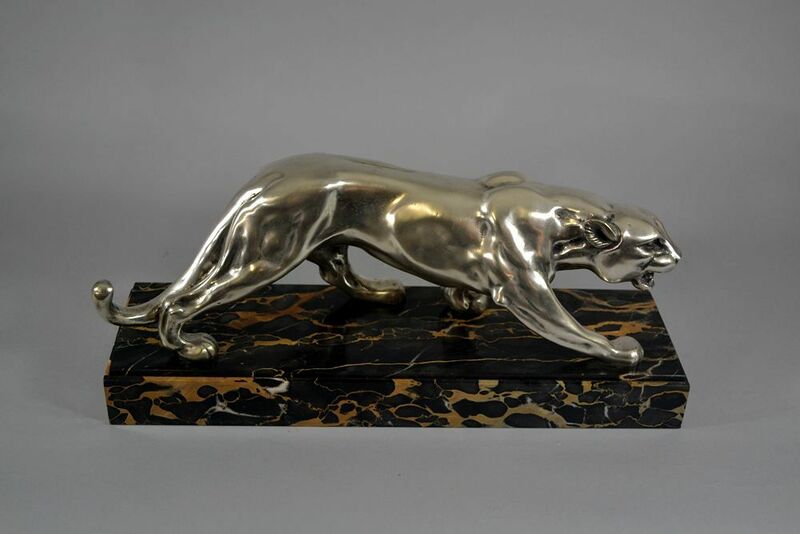 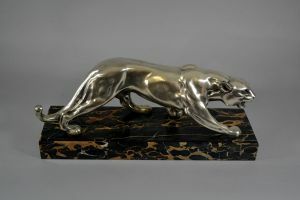 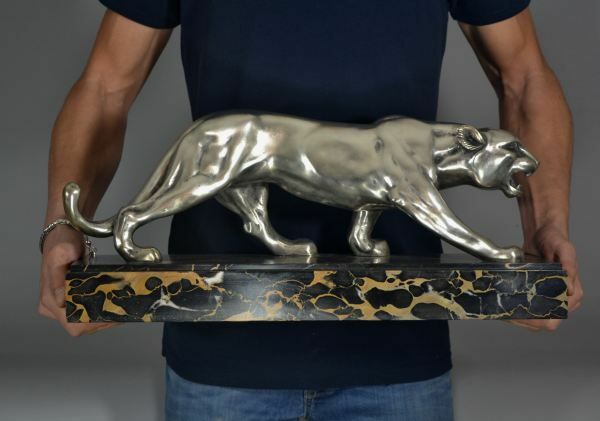 A rare art deco panther. 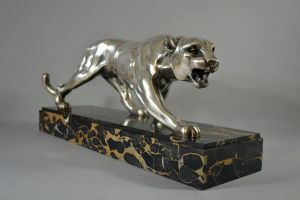 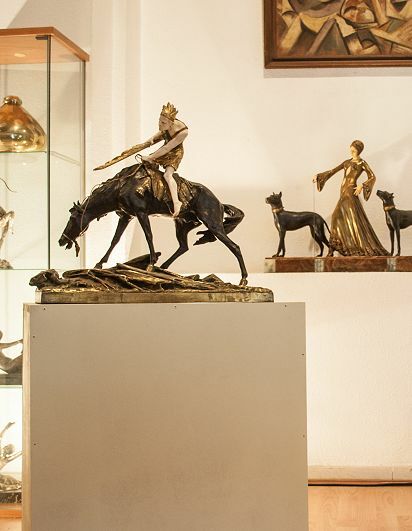 Silver plated bronze on portoro marble base. 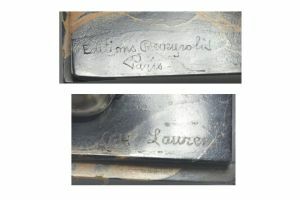 Reyverolis editor mark. 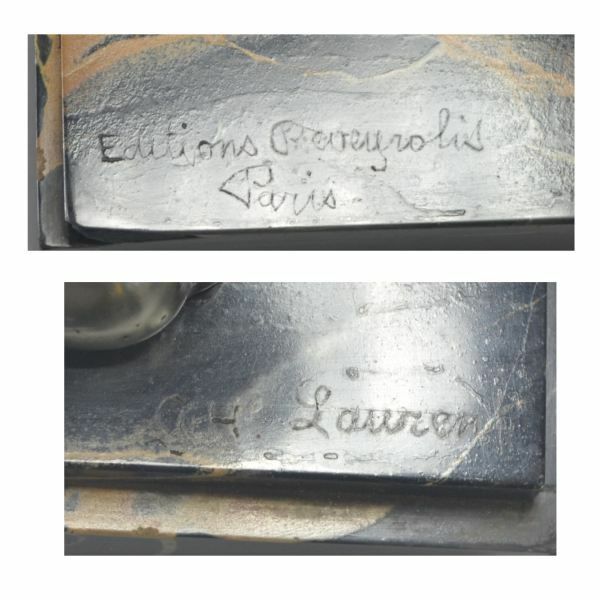 (Famous Editor who used to work for DH. 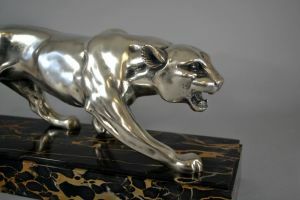 Chiparus) .